Just before the Google I/O, Google introduced Project Treble, a new hidden feature on Android O. In the future, Android updates will be sent out without requiring an adjustment from system on chip (SoC) manufacturers, as Google has now developed a vendor interface. Android updates go through a long journey before they reach user devices. They start from Google’s development labs before heading to driver creation by component manufacturers, and then firmware implementation and testing by manufacturers and network operators... so it's a long wait for "just" an update as the whole process can take six months or more. The following infographic explains the various phases that take place before an Android update is released. For all important updates, manufacturers of SoCs and other chips are required to make adjustments. So if a manufacturer doesn’t adapt the SoC to the new Android version, it can’t receive the official update. Open Source projects such as Lineage OS are a last resort if the manufacturer doesn't adapt the SoC. These projects develop the necessary adaptations or produce temporary solutions so that the old version of the software is compatible with the new Android version. The disadvantage is that this process doesn’t allow the official update to then be released onto the phone, and there’s no alternative for developers. This is where Project Treble comes in: with it, Android O receives a standardized vendor interface. This defines the interface that the Android framework uses to access vendor implementation. Through Project Treble, it will be possible to update Android software independently from the vendor implementation. Through this method, after an Android update, the vendor implementation remains unaffected. “With Project Treble, we're re-architecting Android to make it easier, faster and less costly for manufacturers to update devices to a new version of Android”, states Iliyan Malchev, Project Treble project manager, on his blog. Project Treble’s technical details are still unknown. However, it’s clear that this restructuring of the system will bring many changes to developing updates. Google hopes that manufacturer updates will be developed and distributed as quickly as possible. The smartphone and tablet support period will also be increased. Up until now, Android devices received updates for a period of around two years. But now, thanks to Project Treble, even older generation smartphones will be able to receive the latest Android updates. We don’t yet know whether the new vendor interface will succeed in improving the Android Nougat situation: Google needs support from Vulkan 1.0, but this isn’t possible on older chips. Because of this, many 2014 flagships will not receive the update. Android 7.0 Nougat: which devices will receive the update? 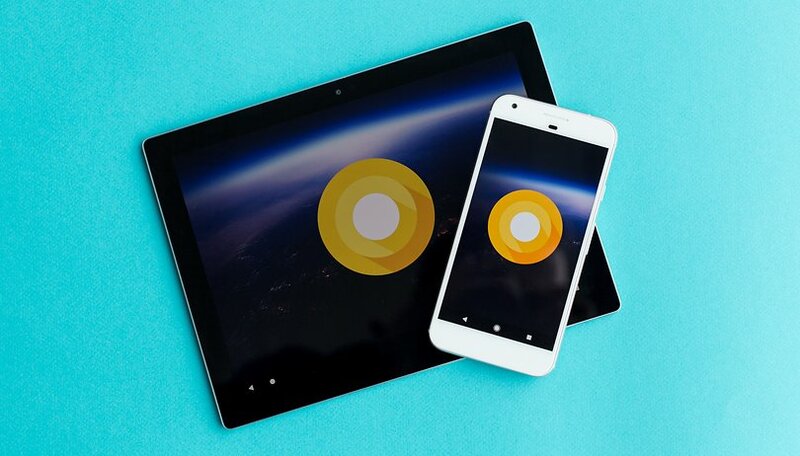 Although the blog stated that Project Treble will be available for all new smartphones with Android O, the Pixel devices are already equipped with Android O’s developer preview. In addition to this, Project Treble could arrive on smartphones in the form of an update. We’ll have to wait and see whether users will also benefit from advantages outlined by Google, and perhaps developers will be happy to develop updates that require less effort and, more importantly, less money. Is Google moving in the right direction with Project Treble? Tell us what you think in the comments below. It's a move in the right direction, I think some years overdue. MS and Apple pioneered maintaining the update stream for current OSs and pre-checking hardware compatibility for OS upgrades - especially MS has left a lot of freedom to OEMs and software developers within its model - and Google should have started out building on and not ignoring their models. As described here, one hopes that a new Android could be backward compatible for installation on recent phones with decent specs instead of having to plunk for a new device to get it. I would also want - as MS mainly still allows on Windows - end-user choice about what to update and when - toggles for automatic versus manual update choices could easily be built into the GUI. MS Mobile system is almist non-existent. The market share is not even 1%. Almost zero developers support resulting in very few apps support. Taking all that into account I would not present it as the best example. It''s a dead platform. Period. I think the fact it can be used at all as an example is very telling. As long as it doesn't break apps, or their functionality. I already have had a battle with the google app, and updating to the latest version. I had to use a older version, just to get my "always on' feature working again(after update, it just stopped). Oh, editors, it's 10:59 am, not 4:57pm, today.